Game designed by Fenrislorsrai, with feedback from picks-at-flies, ColinD , Naturalismus, Wootfish, Forbidding, TheCharles, glunsforddavis, Havoc Jack, Cubist, David Ng. Editorial oversight and figures by db. * For two players, each with holding 24 cards (including 1 home card). This version requires the use of dice for one of the cards. Ecosystems rock! They really do, and to be honest, we sometimes think the word “ecosystem” is kind of bland and just doesn’t do justice to the concept. That’s why we hope in this game, the inherent awesomeness of this ecological term will soon become pretty clear. Here, two players will have the opportunity to play with cards (from a potential card set of over 1.9 million! ), and build an ecosystem that is complete with many different species interconnected by terrain and climate. However, players also get to compete against each other by tallying up and seeing who has the most points at the end of the game. These points basically reveal who did the better job at creating the strongest, richest, and most diverse elements of the ecosystem. Why do you want strong, rich and diverse? Because the environment can be nasty sometimes – and biodiversity, especially lots of it, is really really good at safe-guarding against such things. Let’s start by saying that the word “compatibility” comes up an awful lot in this game. But what it’s referring to is pretty straightforward. On all of the cards, there are details that tell you what kind of conditions it needs – for example, this might be the kind of terrain or climate involved, the food it likes, or maybe the card you’re holding is very very picky and needs something very very specific. In any event, we hope you’ll pick things up pretty quick. It’s amazing how a statement like “herbivores eat plants” translates to a mouthful when describing it in card keywords and numbers, but mark our words, we’ve tried our best to make everything pretty straightforward. A player’s species cards are always played adjacent to at least one compatible card. These are the cards that represent the various organisms on our planet Earth. In essence, all values and attributes on the card aim to describe the creature as in real life (i.e. the cards are more or less like fact holders). 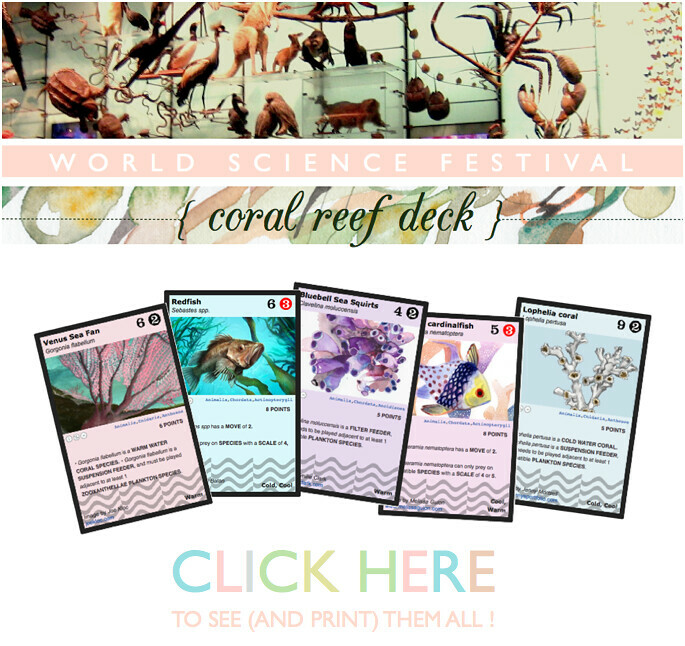 Information on the cards include #SCALE (how big is it), #FOODCHAIN, DIET (these two provide information on what the species needs for sustenance), as well as habitat information (various combinations of TERRAIN and CLIMATE). These cards will also have other pieces of info, such as words that describe their evolutionary position, as well as text that may explain some special ability or interesting trivia. Note that each species is also worth a certain number of points, which have been calculated based on the ease to include them in the ecosystem. i.e. creatures with wide habitat options, lower food chain expectations, and/or have properties that make them easier to play will score lower. These cards often define some sort of environmental situation, and tend to be played on top of species cards. This will often result in a change of some sort that may have a domino effect on neighbouring cards. A strategic element of this game will largely depend on building ecosystems that can adapt to such events or are minimally affected. Note that sometimes, these Event cards can give you certain bonuses, or even tasks that can change how the game is played. Just make sure you read the instructions closely. Starter cards are played only at the beginning of the game. Starter cards are typically HOME cards. The game starts with each player having a HOME card played on the table played next to the other. You can play any FOODRANK 1 SPECIES next to a starter card regardless of TERRAIN and CLIMATE requirements. Two players will sit facing each other, each with a deck of 20+ cards. Decks can be thematic (i.e. only locale specific cards), or hand chosen by the player from the Phylo website. 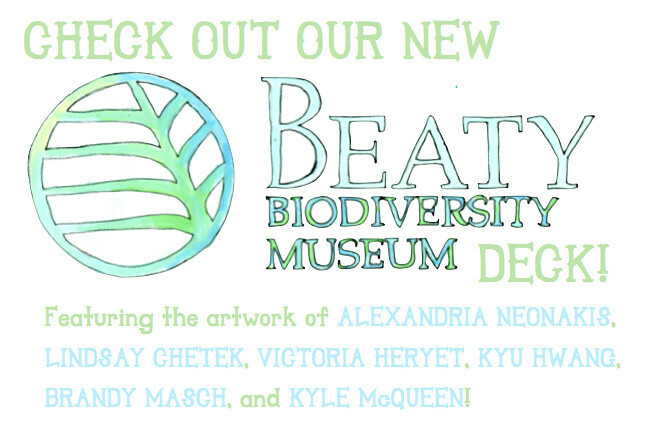 If you’ve downloaded the Beaty Deck, these are species primarily from our home base in British Columbia, Canada. Each player will also have a STARTER/HOME card on the table facing them. Each player will then randomly draw 5 cards from their deck. You may also choose to preselect these cards from your deck if you prefer. To decide who goes first, flip a coin. This is the essence of the game and is primarily done by creating networks of SPECIES cards. Here, cards are placed against each other such that at least one compatible link is present. Compatibility is based on several things, which all must be met by at least one single card. 1. That there is space on the table to place the card. There are some exceptions to this rule, where cards can be played on top or below existing cards – these often involve SPECIES with special keywords, such as being INVASIVE (see 4 for more information). 2. That at least one TERRAIN and one CLIMATE match. Note that many species can exist in more that one TERRAIN and/or CLIMATE. These cards, therefore, tend to be easier to build networks around. 3. That at least one acceptable food chain link is available. This is hopefully fairly intuitive, as the game uses basic food chain principles. However, from a card perspective, this would involve the following rules. – Species with a #FOODCHAIN value of “1” can be played adjacent to any other card as long as there is TERRAIN and CLIMATE compatibility. This simply means that things like plants and microbes do not rely on other SPECIES for food. i.e. they get sustenance from the sun or the chemistry around them. – Generally, for #FOODCHAIN of 2 or higher, the card is placed next to one with a #FOODCHAIN value that is one below. However, exceptions to this include omnivores, which (regardless of #FOODCHAIN rank) can always have the option being played next to a photosynthetic species (who have a #FOODCHAIN value of 1). – Whenever the play implies a carnivorous linkage (including an omnivore feeding on meat), the played card must have a higher #SCALE value unless text on the card provides an exemption. This simply means that, generally speaking, animals will tend to feed off of smaller animals. This, of course, does not apply to herbivorous interactions (i.e. an animal can still feed from a plant even though the plant may be bigger). – INVASIVE: If the criteria match (as defined by text on the card) and it also fulfills compatibility requirements (i.e. it can still be part of at least one working ecosystem chain) an INVASIVE species can be played on top of another SPECIES card (and thereby discard it). This means that the INVASIVE card now provides TERRAIN and CLIMATE information for that space (which may or may not effect other compatibility networks). – PARASITIC: These cards are placed below the compatible “host” SPECIES card. Here, they do not play a role in determining ecosystem details (i.e. TERRAIN, CLIMATE, etc) for that card space, but they can be used for scoring at the end of the game. Note that although many PARASITIC species cards require a host, there are also many that can be played like a normal SPECIES card. – POLLINATOR: Species that are POLLINATORS contain this keyword in their text area. There are the occasional Plant species that require a POLLINATOR. Therefore, in order to play such plant species cards, there must be at least one POLLINATOR on the table. – Note, there are other keywords peppered throughout the different cards. Here, instructions on use are shown on the card text. Much like the natural world, ecosystems are susceptible to all sorts of change. Sometimes, this might be small (it’s windy), whereas other times, it may be quite profound (climate change). In this game, there are a number of ways to modify the networks that you and your opponent have created. These offer ways for you to stress, adapt, or strengthen existing card links, be it your own or your opponents. Remember that because the ecosystem is built on compatible linkage, sometimes a single card change or loss can result in a domino effect with far reaching consequences! 1. A species card is affected by placement of another species card on top or below. Examples include the aforementioned INVASIVE keyword. 3. You play an EVENT card on top of a compatible SPECIES card. When these cards are played, the described effect will occur. This often involves things that will change the TERRAIN, CLIMATE, or describe some horrendous environmental event, all of which can possibly result in the loss of the species card, etc. In all cases, the other player will always have an opportunity to react to the change (one turn), before examining whether species cards need to be discarded because of loss of compatible linkage. Whenever cards are played on the table, they are played facing the active player. Therefore, you know which cards are yours, because they will be the cards that appear upright to you. Consequently, you can play the game with a common set of about 40+ cards, shuffled and distributed randomly between two players, or have each player come with their own premade decks of 20+ each. 1. At the start of your turn, draw one card from your deck. Make sure you’re playing on a table with space to lay out about 40 or so cards. You will also need “pick up pile” and “discard pile” spots (one of each if you’re sharing a deck, or two of each if each player comes with their own cards). – Discard 1 card into discard pile to draw 3 cards. – Play a SPECIES card (next to any compatible card). – Play an EVENT card. – Pass and do nothing. 3. After your actions, you may find that you have cards under your control that no longer have compatible connections. These you can leave on your table until the other player has had a turn to react to your changes (in other words, it’s good to move these cards before you play your event). 4. If you had played an event card or had moved one of your cards and thereby created a breakage in the food web, your opponent has one turn (three actions) to react. This will likely involve playing a card to substitute for loss connections, trying to move cards to compatible spots, or possibly involve playing an event card that happens to counter the effect. At the end of that turn, players will remove any cards that no longer have a compatible connection. These will go into the discard pile. 4. Continue alternating turns for the remainder of the game. When a player has taken their last card from their pick up pile, the game ends at the conclusion of the other player’s turn. In these situations, your opponent is able to “call your bluff” and then use Wikipedia and/or the Encyclopaedia of Life to track down evidence to prove your error. Whoever wins, has the ability to remove any card on the table with immediate consequences (i.e. no waiting a turn to react). In many cases, it’s actually going to be pretty difficult to weed out a definitive answer that proves the bluff one way or another. In those cases, the situation is left as is. For future locale specific decks, there may be production of specific food chain keys, so that these things can be checked more quickly. Note that some decks have provided a food web diagram (i.e. Beaty) to help make these types of calls quicker. 6. Tally up all the points that are in your possession and still face up and still on the table (even those underneath cards). Winner is the player with the most number of points. 0. At the beginning, Each player will have a deck of at least 24 cards plus one “start” card (note that numbers of cards is primarily limited by size of table!) 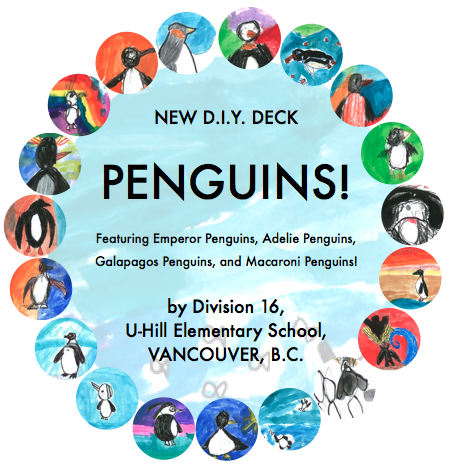 From their deck, each player would then randomly draw 5 cards – these they can look at. For this demonstration, let’s say we begin with the cards show in the adjacent figure. 1. Next, the two “start” cards (one for each player) will be placed adjacent on the table. Note that henceforth the areas highlighted in red represent action(s) described. 2. Player 1 goes first. At the beginning of the turn, the player gets to pick up 1 new cards from his/her deck (for the sake of simplicity, we’ll focus only on those initial 5 cards). Player 1 now gets three actions (as outlined in the basic rules). Because the HOME cards represent all TERRAINS and all CLIMATES, it’s fairly easy to build from. However, you would still need to begin by placing a #FOODCHAIN 1 card to begin linkage. Player 1 will start by placing a VALLEY OAK card. Note the different placement options options. 3. Let’s say he/she places the VALLEY OAK card to the immediate left of Player 1’s HOME. Now, we have two more actions to use up. For one of the actions, player 1 decides to add an INDIAN PLUM card. As you can see, this card can also be placed at a number of different spots, pimarily because of its FOODCHAIN# 1 rank. Player 1 decides to play the card above the VALLEY OAK. 4. Next, Player 1 wants to play a HORSE card. The figure here shows that from the three examples, only option 1 works, as all the compatibility requirements are met. The other two options (#2 and #3) have some incompatibility and therefore cannot be played. Basically, option #1 produces the following network: HORSE to INDIAN PLUM to VALLEY OAK to HOME. Note however that the HORSE is fine even if the VALLEY OAK is removed, since the INDIAN PLUM can act as the primary food source anchor. 5. Player 2 decides to mull over his/her moves. One option is to play a SUNFLOWER card. With a FOODRANK of 1, this figure shows possible places for Player 2 to use this card. Note the card is upside down! Alternatively, Player 2 is thinking of playing the EASTERN KINGBIRD. This card has a FOODRANK of 2, and therefore has fewer placement options. 6. In the end, Player 2 decides to place the SUNFLOWER card as the first action (see top figure), and then place the EASTERN KINGBIRD card as the second action (see bottom figure). This creates an EASTERN KINGBIRD to SUNFLOWER to HOME linkage. Player 2 still has one more action to play. 7. For the third action, Player 2 decides to use an EVENT card. The WILDIFRE card basically discards any Plantae card it is played on. Usually EVENT cards are immediately removed once the effect has occurred, but in this example, the WILDFIRE card text states that it has to be left on the table for an extra turn. As you can see, when the WILDFIRE card is played on the INDIAN PLUM, the HORSE is now missing a necessary compatible link (i.e. something to eat). Therefore, it is now in danger of being discarded. 8. Fortunately, the rules allow a player to react to these changes. In other words, the other player (Player 1) gets a whole turn of play before cards are discarded. In this respect, this figure highlights two possible things that Player 1 can do to avoid discarding the HORSE. Player 1 decides to MOVE his/her HORSE card. This counts as the first action. 9. For the second action, Player 1 decides to play his/her ROBIN card. The ROBIN has a FOODRANK# of 3 and is omnivorous (BROWN DIET COLOUR). Because of the ability of the ROBIN to feed on plants (in compatible TERRAINS and CLIMATES), the ROBIN can be placed next to photosynthetic cards (3 possibilities as shown). Note that the ROBIN can also eat meat. However, carnivorous interactions are only compatible next to cards of smaller SCALE. In this sense, the ROBIN cannot be played next to (say) the HORSE, even though all other compatibility criteria are met. i.e. the HORSE is just too big! In the end, Player 1 decides to play the ROBIN next to the VALLEY OAK. As well, for his/her last action, Player 1 plays the EURASIAN LYNX next to the ROBIN (here the SCALE compatibility works). This creates a EURASIAN LYNX to ROBIN to VALLEY OAK to HOME chain. In this way, the game played back and forth. The key is to create good links so that even if something is discarded, there are other connections that can compensate, or to create links that allow for adaptation by movements or other keywords. In any event, when a player has taken his/her last card from their deck, the game ends at the conclusion of the other player’s turn. At that point, both players tally up all the points in species card that are in their possession and still on the table. Winner is the player with the most number of points. The Beaty Deck is Here! This amazing “card back” pattern courtesy of Suzanne Norris, with Haley Fiege’s awesome logo incorporated. The general idea is that if this back is used for all Phylo decks, then the ability to mix and match all subsequent cards will be limitless.